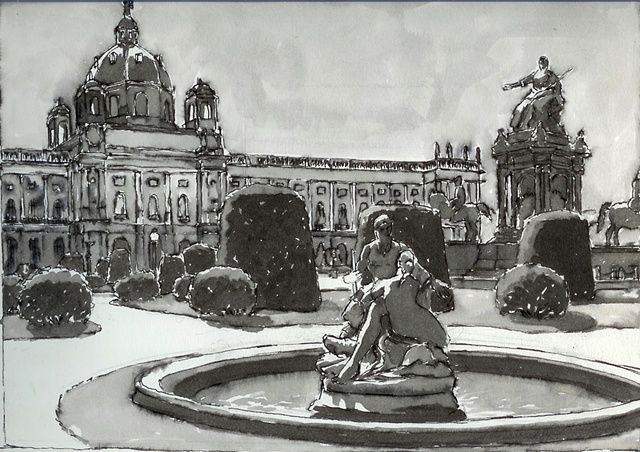 This sketch was done in front of the Kunsthistorisches Museum in Vienna. It was the first sketch in my new sketchbook on that trip. I remember a Russian couple stopped to ask me questions about what I was doing and look at the drawings.